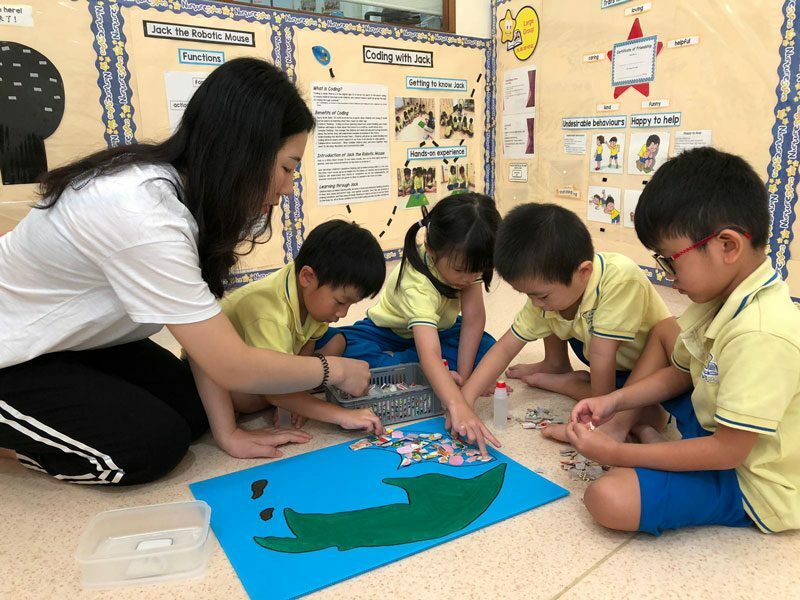 Making landfill collages and drawing pictures of our suffering Earth, nursery and kindergarten children of six NurtureStars preschool centres have learned to “Go Green” since the last week of March to mark Earth Day which falls on 22 April 2019. “Go Green to Secure Your Family’s Future” campaign that SAFRA has launched since the beginning of March. NurtureStars teachers have designed and conducted workshops to educate the children on reducing, reusing and recycling waste. 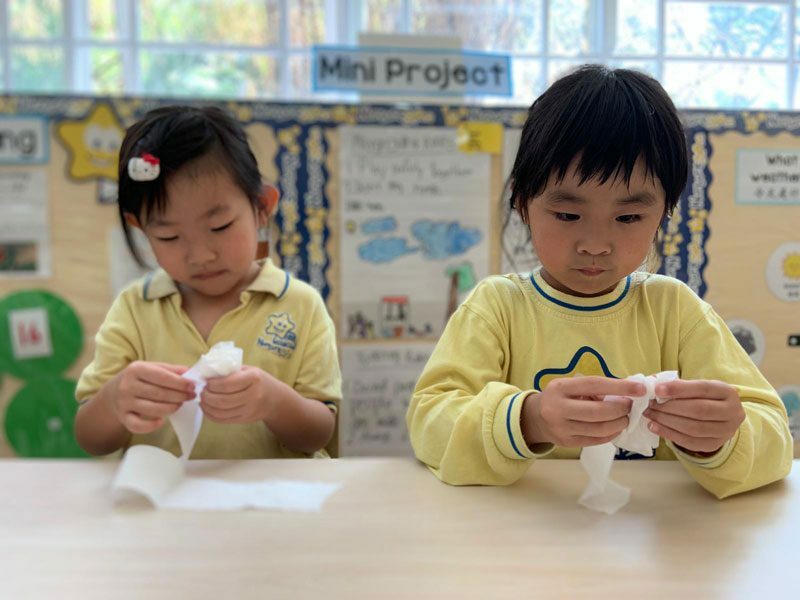 Children learn that Singapore consumes 2500 plastic bags every three seconds, and indiscriminate disposal of plastic waste has a disastrous impact on the environment. The children have watched a video titled “Chasing Coral” and learned that the climate is slowly changing due to pollution. The weather is getting too hot and the water in the ocean is getting warmer, causing the corals to bleach and die. They feel that the earth is getting sick, that Mother Earth is having a fever from the irresponsible acts of throwing waste, especially into the ocean. 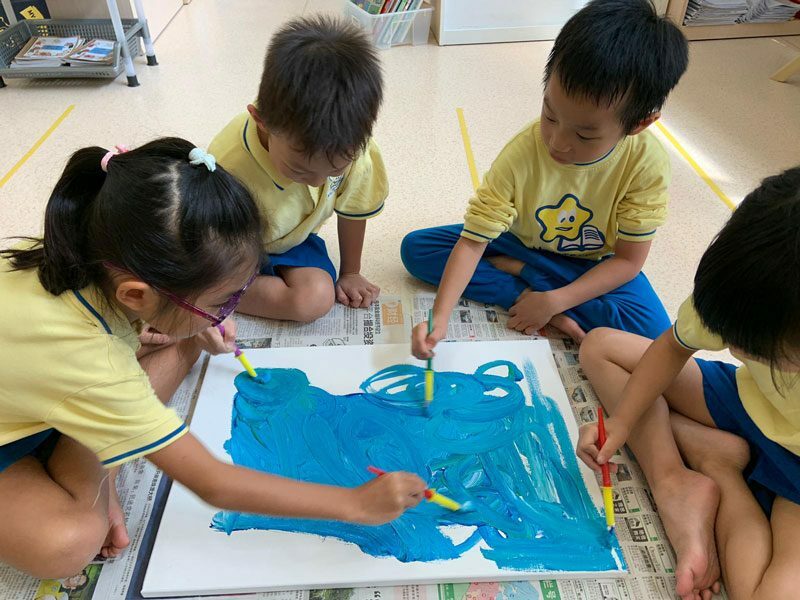 From what they have learned, the children drew pictures on how earth has been changing and how the corals would look like before and after pollution. Parents helped to collect used plastic fork and spoon, corrugated boards from carton boxes, straws and bottle caps etc., so that with the help of teachers the children could to create “landfill” collages to show the amount of waste that has been throw away. Such activities have been organised to ensure that the environmental lessons learned would be etched in the children’s memory as they grow into responsible adults. to make a composite picture of a polluted marine life. The children made an artwork about what coral looks like before and after pollution. 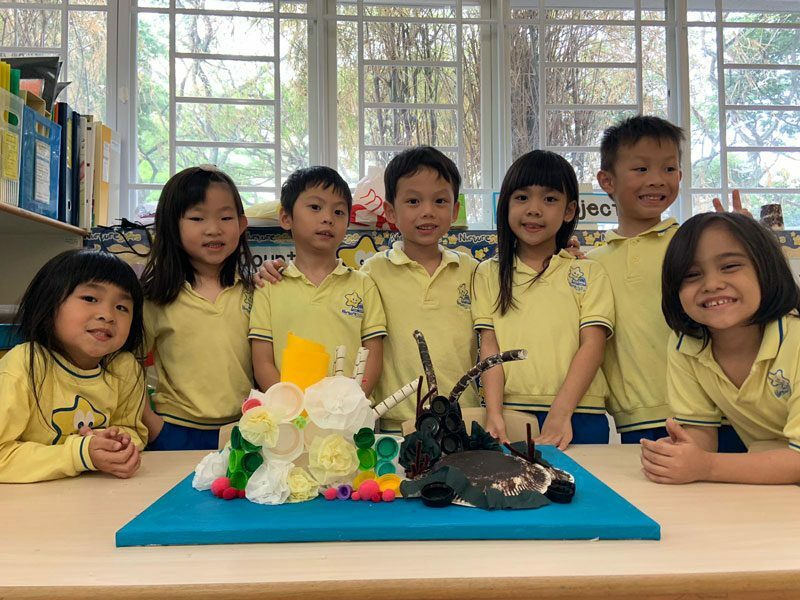 The children drew a picture of a map and made a 3D collage – displaying the different types of pollution around the world. The K1 children learnt that we have to do our part in keeping the environment clean.